Police and former partners are accusing a Green Valley businessman of stealing the identities of dentists and of cheating dental patients. Brad Alan Bowsher, 46, CEO of Infinity Dental Systems, has been in the Pima County jail for about seven weeks. He is charged with five felonies, including aggravated identity theft, theft and fraud. He has pleaded not guilty, and attempts to interview him in jail were unsuccessful. Bowsher could face additional charges, depending on the outcome of an additional investigation by Pima County Sheriff’s Department. Bowsher was a consultant who would set up dental offices and sell the practices to dentists, but court records and police reports describe him forging the signatures of his dentists and patients to obtain money for an extravagant lifestyle. 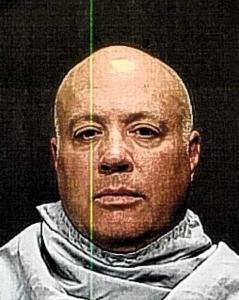 While Bowsher was the manager at Marana Dental Care, 13455 N. Lon Adams Road, from August 2004 to January 2005, he made unapproved charges on business accounts and opened credit cards using the identity of owner and dentist Mike Fair, according to an indictment against him in Pima County Superior Court. He also used Fair’s check routing number to write and cash fraudulent checks for $183,739, according to court and police records. His spending caused the business’s payroll checks to bounce, an office manager later told police. Invoices showed he bought jewelry and trips and a golf club membership, among other things, according to the Marana Police Department report. Some of the checks showed the name Logan Dental in Ohio with the Marana Dental Care routing number. Bowsher also has been arrested on a fugitive warrant out of Logan County, Ohio, and is charged there with suspicion of theft and misuse of a credit card. The victim in that case in another dentist he worked for, according to the Marana police report. While working in Marana, Bowsher also took out a U.S. Small Business Administration loan for $544,100. Bowsher has had other financial troubles, including a bankruptcy in Texas in 2002. Fair figured out what was going on after he started receiving calls from banks and creditors, he told police. He fired Bowsher, who told Fair that “he has a disease that he can’t help himself from borrowing other people’s money,” according to the police report. Bowsher told police Fair was spending just as recklessly and said the two were trying to open another Northwest Side office and a Rita Ranch office, but “we were way outpacing what he could actually come through with financing, and it just blew up in our face,” according to the police report. Fair went through bankruptcy and currently has an investigation pending with the Arizona State Board of Dental Examiners, records show. Then in 2005, Bowsher opened Sahuarita Dental Care, 75 W. Calle De Las Tiendas, and things were apparently rocky from the start. The office wasn’t registered with the Arizona State Board of Dental Examiners, which is an annual requirement for dental offices. Kim Rusk was hired by Bowsher to be an office manager. She said in an interview that she worked there for about two months and left because she wasn’t getting paid. Rusk said she started getting calls from lenders and banks who wanted to verify that the doctors worked there. She thought that was fishy because they weren’t buying anything that would require a loan, she said. Dentist Terence Fowler realized what was going on only when a dental supply company sued him for breach of contract, Fowler said in his response to the lawsuit. Fowler claims Bowsher forged his name on a contract for around $86,000 worth of equipment, according to court records. Fowler, who retired to Green Valley and practiced dentistry part-time at Sahuarita Dental Care, later learned his name also had been forged on a credit card and a KGUN television advertising contract, he said in court records. Rusk, the former office manager, said she still hasn’t received the $8,800 she earned while working at Sahuarita Dental Care, even after she took Bowsher to court over it. “I am a very hardworking, honest small-business owner,” he wrote. He attached a bank statement that shows his account was $5,161 in the red last June, with numerous overdraft fees and return check fees. Rusk also said Bowsher was offering patients a discount for paying up front in full. He told them he would bill their insurance and reimburse them later. One patient, Gordon Green, said in court records his name was forged on a line of credit to finance his dental work at the office. Some clients never got their money back. She filed a police report after the office closed.